In Kadıköy, one of the most vibrant art districts of Istanbul, lies TOZ artist-run space. Established, in 2015, TOZ has been founded jointly by the artists Ece Eldek, Sinem Dişli, Volkan Kızıltunç and Elvan Ekren. Recently funded by SAHA, the self-declared goal of the non-profit project is to open the founders' studios to other artists and to collectives, in order to work and research together by creating a platform for exhibitions, seminars and workshops. I talked to the team of TOZ about their story, their future plans and the relevance of sustainability for new art spaces in Turkey. Mine Kaplangı: I am interested in the story behind your decision to collaboratively create the artist-run space TOZ. As artists you had already been successful prior to TOZ – why did you decide to start a joint research and workshop space by combining your studios? Elvan Ekren: We all come from different disciplines – from graphic design, visual art, photography, video and installation. The process for TOZ began spontaneously as we realised we all have dreamt of creating such a formation for years. While Volkan and I held our studio in Yeldeğirmeni in 2013, we also planned to have this place as an independent exhibition and sharing space. It was realised in 2015, when we came together with Sinem and Ece. We always wanted to be a collective, to act together. We believed in this: We wanted to create a space that nurtured our personal artistic production, opened up space for questions, where we would look for answers together. We came together as four artists with different perspectives, sharing our own experiences. Sinem Dişli: I think as artists we all have that small voice that sometimes tells us what we do with is meaningless. Being around others who are trying to create, encourages you to carry on. Different personalities coming together from various backgrounds can create enthusiasm. Diversity enhances creativity, leading to collective problem solving. For me, collaboration is not about getting together to keep doing what you already can do. It’s about challenges, both within and outside of the group. 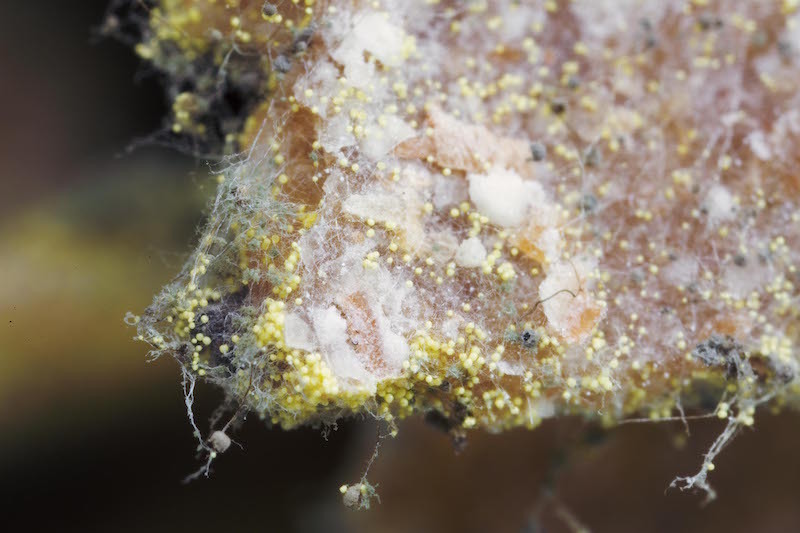 Work that is born out of such an environment contains layers and different methodologies. It’s also about being open to be transformed by other people’s ideas. I think that’s the most exiting part for me: to collectively rotate an endless cycle that in turn, influences you as an individual. Mine Kaplangı: How is TOZ’s annual program structured, do you have a work plan? Are you particularly focused on specific subjects or artistic practices? Volkan Kızıltunç: TOZ focuses on time-based arts. Photography, video, sound, new media and other art practices that relate to these fields are of interest to us. When establishing TOZ, our vision was to create an organic, non-hierarchical and open structure. We are progressing by discussing almost every phase of the activities and exhibitions we are organising at TOZ and we assign each exhibition to one particular person who executes it only with the support of others in the group. We held exhibitions including themes such as migration, immigration, the concept of belonging, sexual identity politics, environmental problems and the effects of technology on people. Our interests lie in the events that happen in our environment and their effects on people. Mine Kaplangı: You share the idea that your studio and workspace should be an open space to be visited. As you continue producing and researching at TOZ, you reveal production processes to the audience through exhibitions. Artists spend their time at TOZ as a collaborative space and they continue productions during the exhibition period. 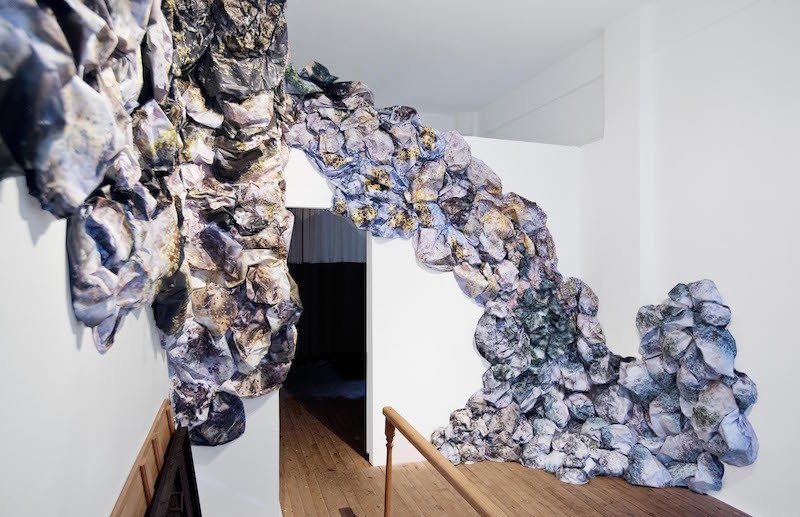 Could you elaborate how the artists' practices relate to the space of TOZ, for example the recent site-specific installation by Sinem Dişli? 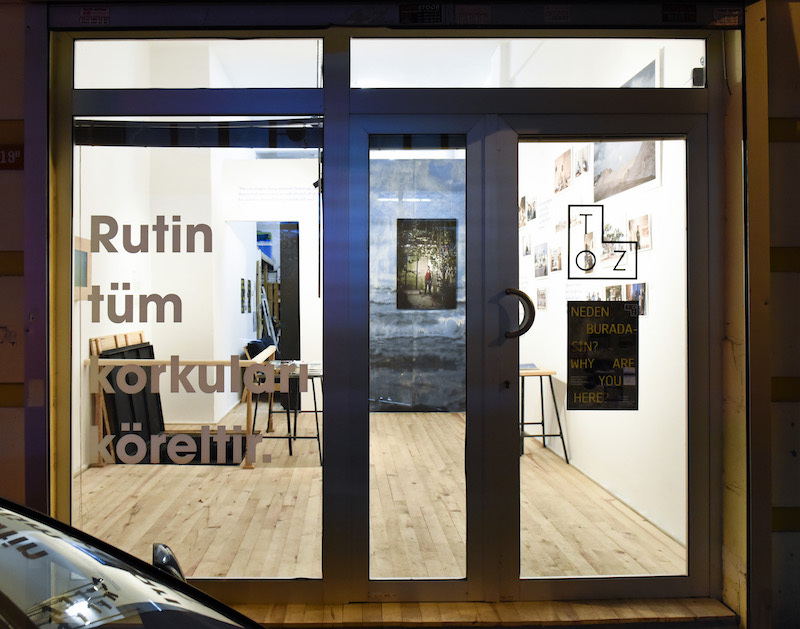 Elvan Ekren and Volkan Kızıltunç: "RUTUBET (humidity)," the exhibition by Sinem Dişli, was important for us, as it was the first one opened by a founding partner. It was also the third show in the TWOweekENDs series, in which we invited the viewers to participate in the production process of the exhibition. This reflects our starting point, since TOZ incorporates an artist studio. We focus on the process; the result is secondary for us. For group shows, we set a starting point and we continue to develop it with the artists participating in the exhibition. Contrary to the most common understanding of art exhibitions, we do not expect artists to come up with a finalised, ready-to-exhibit piece. Sometimes, the process of the work is carried out at TOZ and the work is finalised here. We are constantly sharing ideas with the artists participating in the TOZ exhibitions and we become a part of their practice. Mine Kaplangı: What was the show "RUTUBET (humidity)" about, Sinem? to the cyclical nature of life. Mine Kaplangı: TOZ is a research and co-production lab. In Istanbul, the general public often does not differentiate strictly between independently run art spaces, institutional museums or commercial galleries. What are your expectations from the spectators of Istanbul both as artists and as TOZ founders? Elvan Ekren: When setting up TOZ, the primary driving force for us was our longing for this kind of place as both artists and as an audience. Like us, many others have shared our enthusiasm and supported us in the process; we see it as a reflection of common thoughts on widening the borders. For us, this process was very educational. And we also had the opportunity to share what we have learned with our friends through TOZ. We believe that the art world should be less trade-oriented; and more platforms should emerge to focus on artistic concepts, providing opportunities for giving more voice to artists about what they want to say. The audience in Istanbul is a curious audience. There are many people who follow what is specifically shown where; therefore, we have had our own regular audience since we established the space. Ece Eldek: We say to an artist: "you can take risks”. In that sense, we are different compared to a gallery. We are an independent space. We want them to show us their ideas, so that we can talk about it. These are my expectations from artists. Likewise, I also wish all visitors and spectators to share their experiences with us, for example through joining our artist talks and other events. Mine Kaplangı: Are there any artists, institutions, collectives or formations that give direction and inspiration to TOZ? 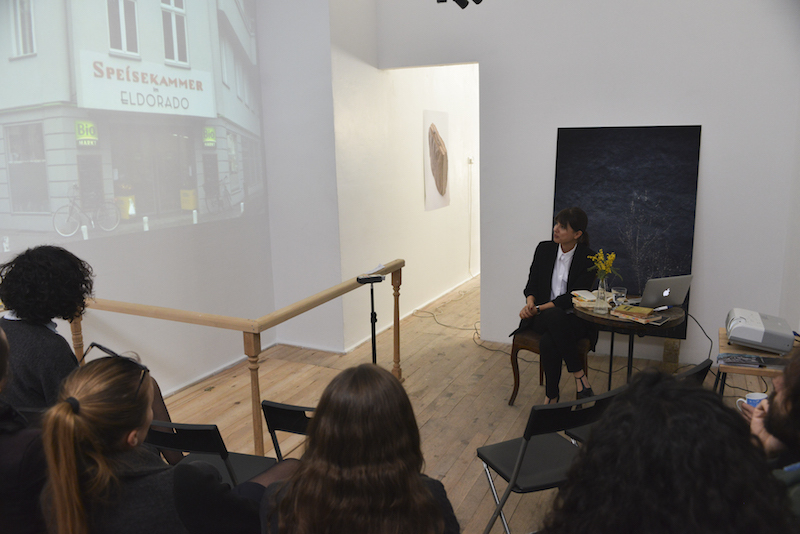 Elvan Ekren: Before establishing TOZ, we were mostly influenced by art spaces from abroad. 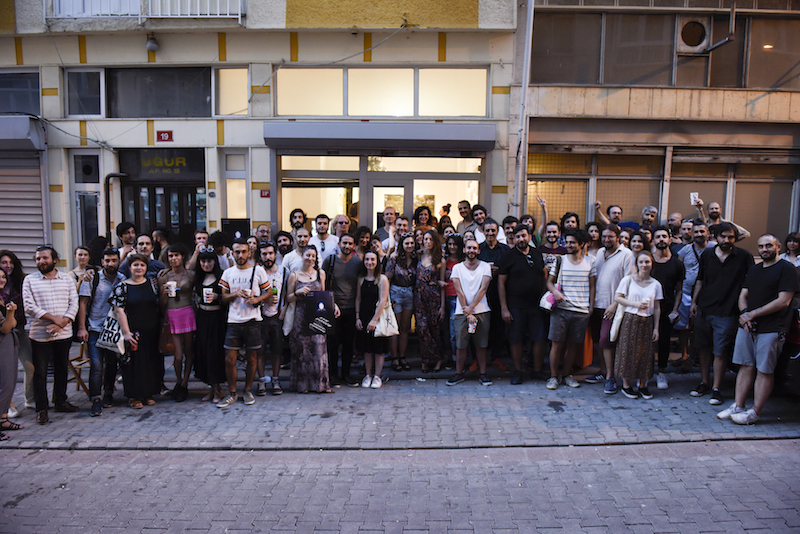 In Turkey, there are artist-run spaces that were opened long before us and all of them have set an example for us to find our own way. 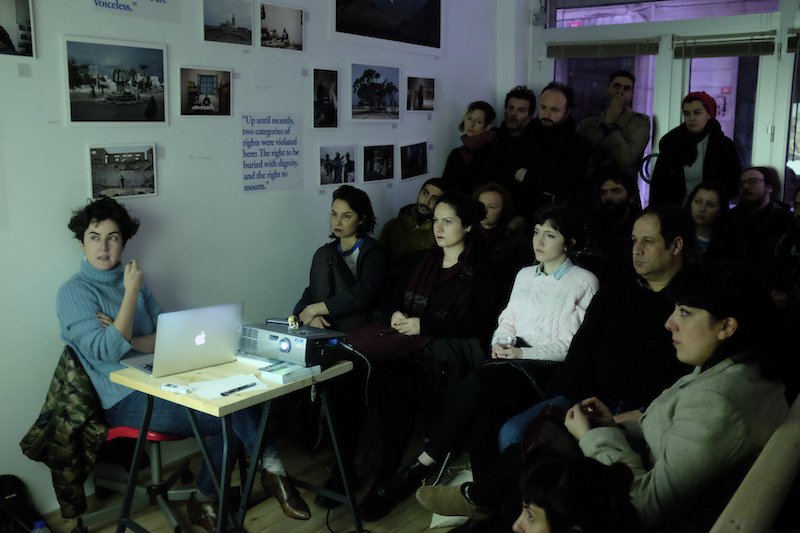 Among the first of those that come up to my mind are the Apartment Project, 5533, Oda Projesi (Room Project), Hafriyat, Pist, Mars, Torun, K2, Pasajİst – these are all collectives run by artists. Ece Eldek: I think it was the artistic material that gave us more direction and inspiration, such as photography, new media, video and sound art. There are also few places in Istanbul that are focused on exhibiting these media – we knew it was missing and that gave us direction. 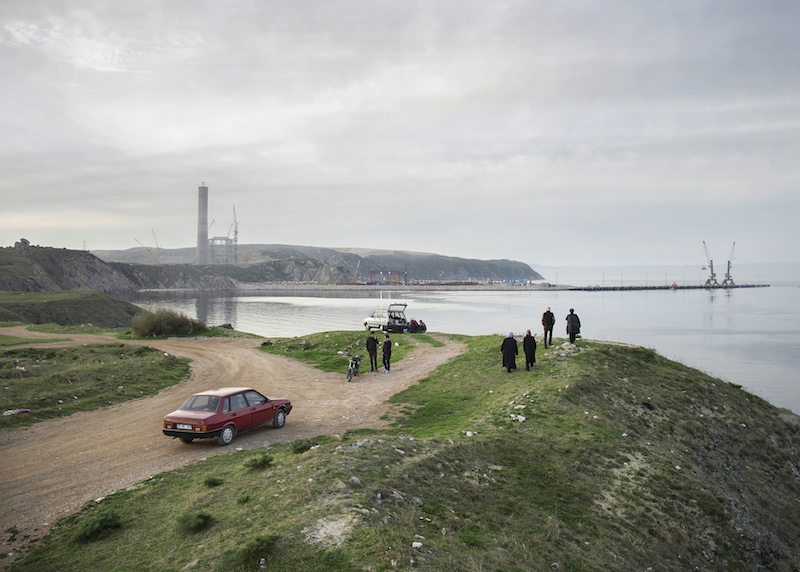 Bekir Dindar "Karabiga Series", Part of the exhibition "Homecoming"
Mine Kaplangı: Do you curate the exhibitions? Elvan Ekren: In march 2017 in the exhibition " ICH BIN EIN BERLINER! ", Özgül Kılınçarslan and I have curated a TOZ exhibition for the first time. We wanted to explore the gaze of the artist who goes to another place to live and work. This gaze – which is different from the gaze of a tourist – includes the inside and the outside views, of belonging and being foreign both at the same time: The distinction between being a habitant, being a native and being foreign in a global city. We showed works of the Turkish artists Yaşam Şaşmazer, Mehtap Baydu, Hazal Kara and Fatih Kurçeren, who are currently living in Berlin, in Germany. "Ich bin ein Berliner!" told stories about these notions of belonging, cultural hybridization, voluntary migration, especially how this reflects on the works of the traveller and the nomadic contemporary artists. Volkan Kızıltunç: Ezgi Bakçay and me curated the exhibition "Homecoming," which included works by Bekir Dindar, Cansu Yıldıran and M. Cevahir Akbaş. It showed photographs, videos and sound installations, reinterpreting ties between documentary photography and contemporary art. "Homecoming" is narrated as moving towards the unknown and as an impossible journey to complete. Each journey is visualised as a performative process, in which the artist enacts her or himself. Concepts such as home, history, myth, memory, nature and non-belonging are opened to debate. "Nostos", a theme used in Greek literature, relates to the epic hero who is trying to return home. Returning home is not just a physical act. The hero actually tries to return to himself, to make sense of himself on a cognitive map and to establish an identity in which he will feel like being at home. 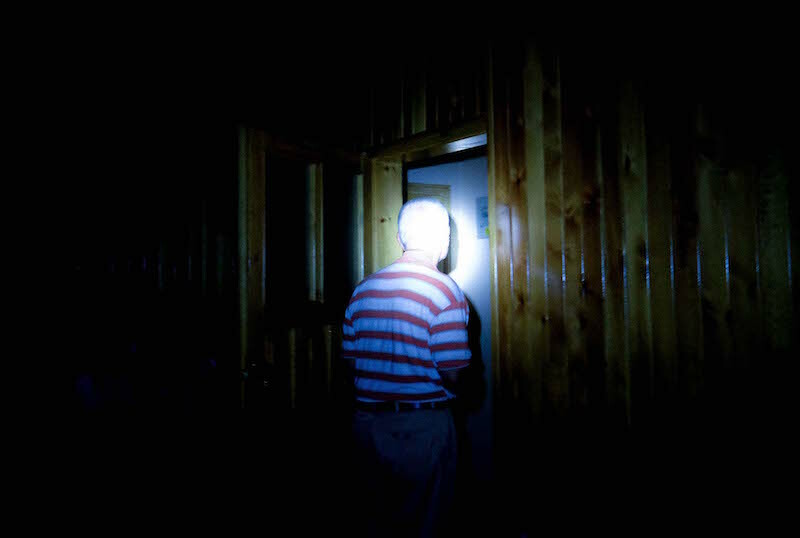 However, it is no longer possible to return home. The pathos of the hero is rooted in the fact that it is neither possible to return to the roots nor getting rid of them. The concern is not to go back, but to think of a historiography that recovers the past in the present. 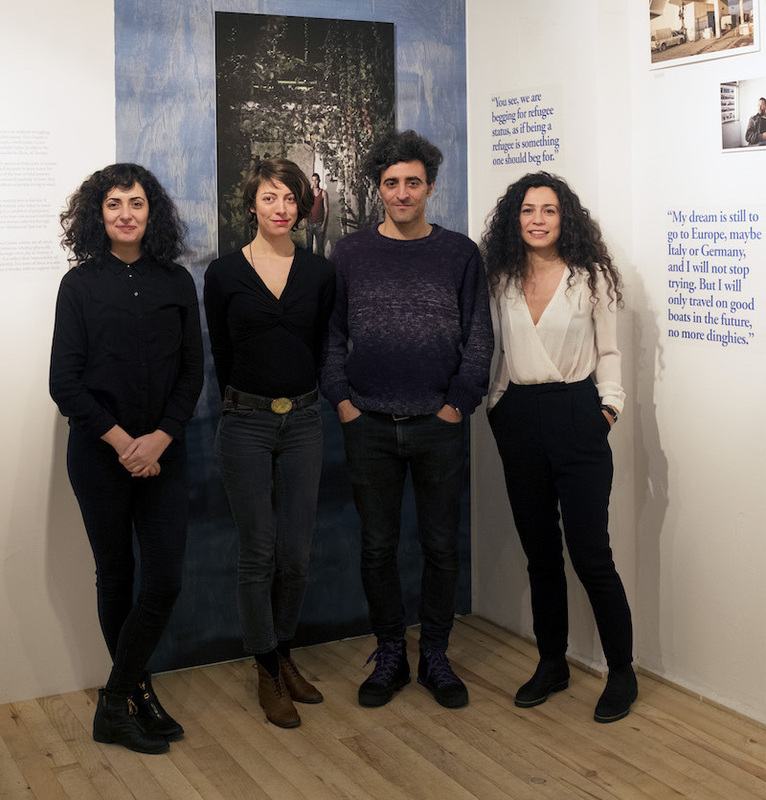 Bekir Dindar, Cansu Yıldıran and M. Cevahir Akbaş pose a new interpretation of "nostos", intertwining myth, everyday life, history and single personal experience.It is a storytelling that is neither personal nor impersonal. The subject is eagerly searching her or himself, but still resists being single-centred. There is no safe area to hide behind the frame, because the story of “homecoming” never belongs to a single subject. Cansu Yıldıran "Mulksuz Series" part of the exhibition "Homecoming"
Mine Kaplangı: The constant turbulent period of Turkey often leads us all to desperation, and we pass through these kinds of periods when we work together. It seems like the most valuable thing to do is to unite, to support each other, in order to be able to continue. What do you think about this period’s effects especially on the field of art? Volkan Kızıltunç: The main effect that we can observe is that Turkish artists’ mobility in the global aspect had increased rapidly. Most young artists are applying for Artist-in-Recidency programs, MA or PHD programs abroad. I’m not considering it an escape from the country, but rather a breaking of invisible chains to be potentially nomadic artists. Many artists have courage enough now to start a new life outside of their comfort zones and move to another country. So, I believe that this future desperation can give us a chance to collaborate with foreign artist, initiatives and institutions more than before. It seems like there will be a creative Turkish Diaspora in a few years. There are already communities established amongst Turkish artists, in cities such as Berlin, London and New York. Instead of only thinking about selling or exhibiting art, it is a time in which integration and talking with other communities from different countries have priority. Elvan Ekren: We are very much affected by the vague future of Turkey and its turbulent nature. But we are aiming to pass through this process by producing, sharing, acting together and collaborating internationally. We are also witnessing that the adverse conditions in our time have begun to transform into an opportunity for many young artists to produce and express themselves. There are lots of talented artists around here and we want to give them a chance to make their voice heard.